Basement suites are common in Metro Vancouver. They appeal to a wide range of tenants, from students to seniors, and are a great way to generate income for home owners. Making the most out of a limited amount of space is a constant challenge for home owners with basement suites. Tenants looking for this kind of accommodation are looking for something smaller and cheaper, but still want to live in a home that feels cozy and comfortable. 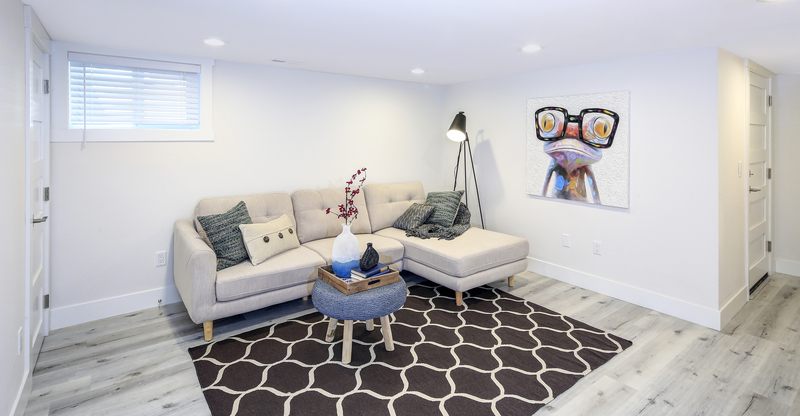 Here are a few ideas to make your basement suite feel more like a home. Basement suites usually have limited windows, and in some cases no windows at all. Without natural light, you’re going to have to provide it yourself. Find the combination of table lamps and floor lamps that works with the layout you’re going for. Alternatively, you’ll want to consider track lighting or pot lighting for certain areas. Adjustable settings for your lighting allow you to mimic the natural light cycle, so you can make it brighter during the day and dimmer in the early morning or late evening hours. If you’re working with a smaller space, you’ll need furnishings that match. Look for sleek furniture or space-saving items like sofa beds and folding tables and chairs. Elevated shelving can help preserve floor space for other items. You can also consider cross-functions items like hollowed-out ottomans that allow for additional storage space. Little things can make a big difference in the way you perceive how much space you have. Take the walls for example. Dark colours and patterns have a constricting effect on space, so stick with brighter, airier colours to create a sense of openness. Another comfy accent to consider are plants. There are lots of varieties that can survive with minimal sunlight and as an added bonus, they’re natural air purifiers.